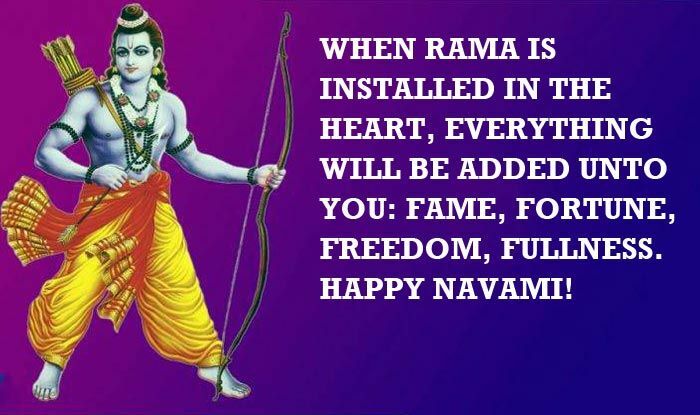 Ram Navami will be celebrated on April 13 this year. The Hindus all over the world celebrate this auspicious day with rituals and offer their prayers. 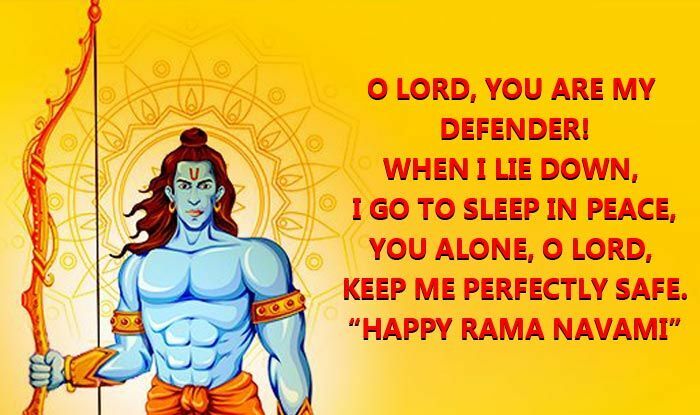 This day marks as the birth of Lord Rama, who is believed to be an incarnation of Vishnu, who was born in Ayodhya to Queen Kausalya and King Dasharath in the Treta Yuga. 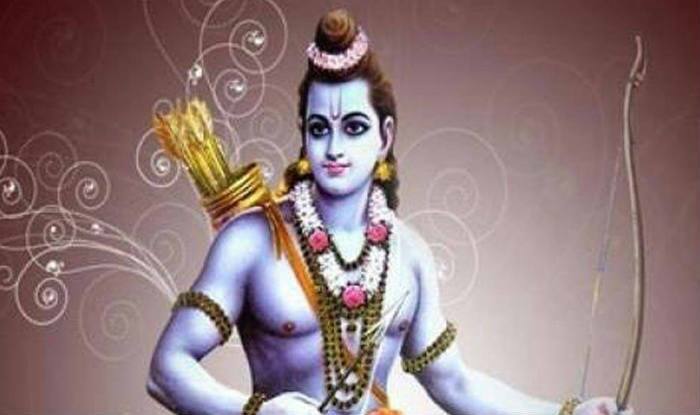 He is also the central figure of the ancient Hindu epic Ramayana. It is also believed that he descended from his heavenly adode to make an appearance in Ayodhya as a newborn baby. The birth of Shri Ram in Ayodhya is observed with grand processions and celebrations wherein devotees of Lord Ram worship the almighty in the Puja Shubh Muhurat Time and chant mantras to remember Shri Ram. 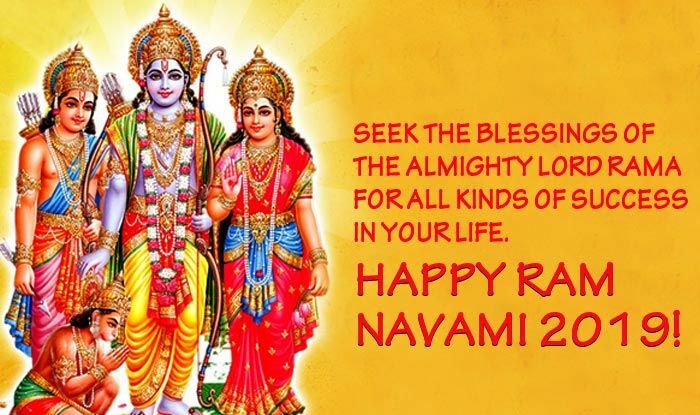 This Hindu festival is celebrated by spreading greetings and wishes of Happy Rama Navami. 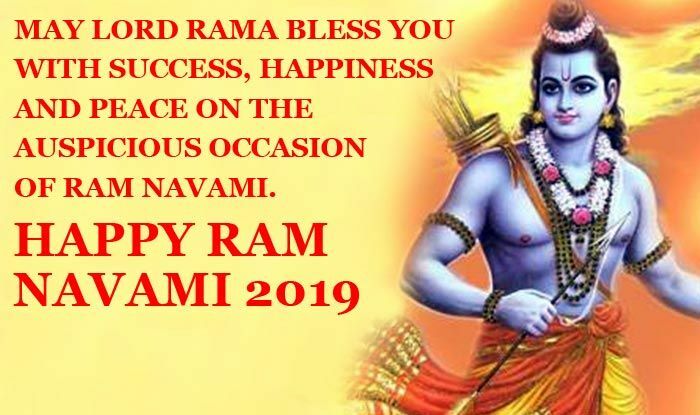 Happy Ram Navami 2019 messages and GIF images are forwarded by all Rama followers on messaging platforms like WhatsApp and Facebook. 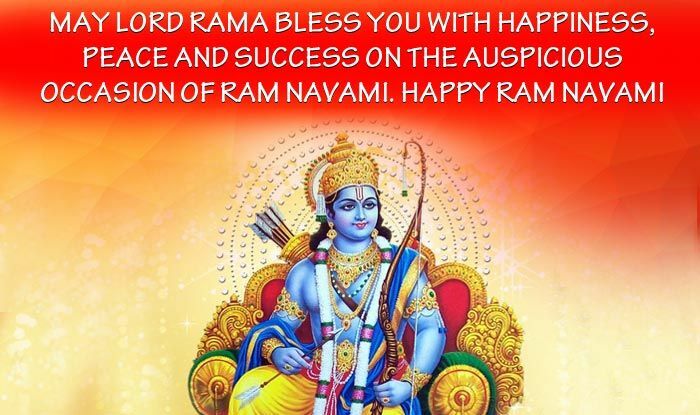 Quotes and Mantras on Shri Rama are shared on SMS, WhatsApp GIF image Messages, Facebook Status to wish Happy Rama Navami greetings. People also download HD Wallpapers of Lord Rama as a way of remembering him on this day. 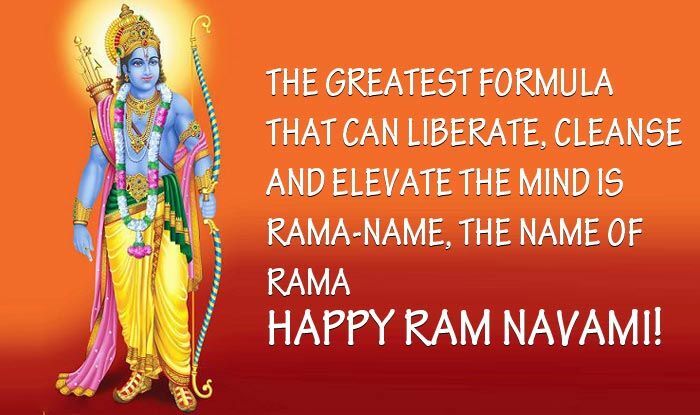 The greatest formula that can liberate, cleanse and elevate the mind is Rama-name, the name of Rama. 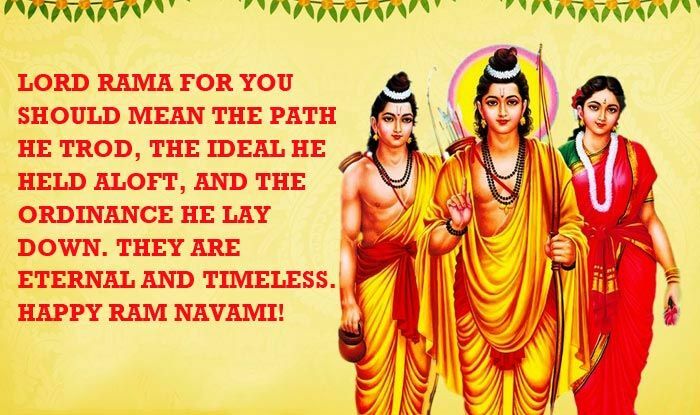 Happy Ram Navami! Some Hindu devotees also place the idol of Rama in a cradle, symbolising the birth of the Lord. Community meals are also held. 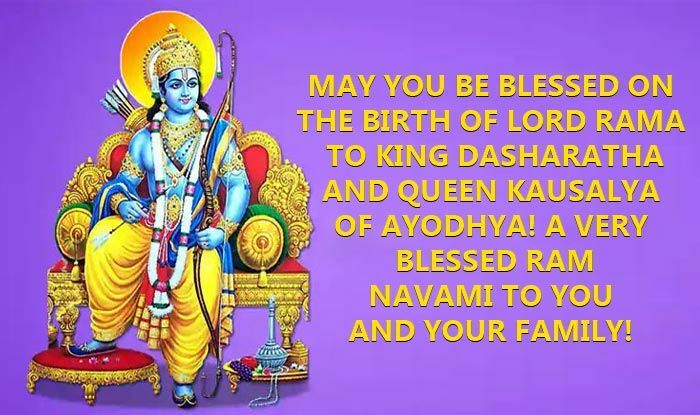 The day is remembered for Lord Ram’s prosperous and right reign. The main attraction of the day is the Rathyatra which is a decorated chariot in which four persons enact the divine pastimes of Rama.